There has been a lot of talk around Microsoft’s strategy on Tablet PCs. 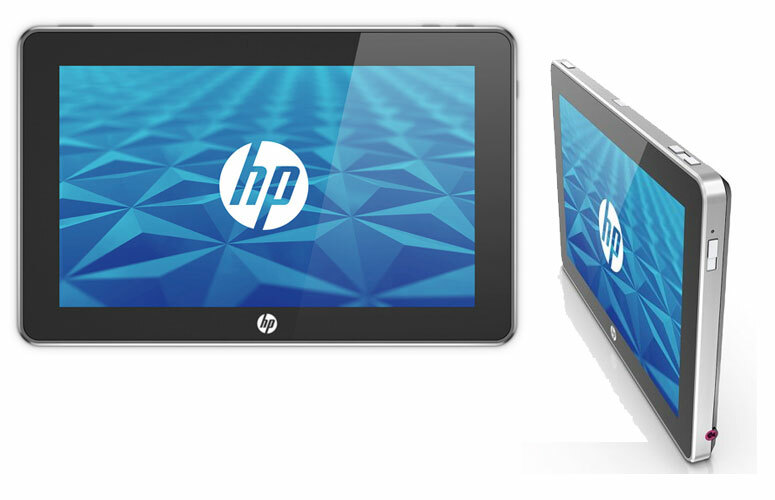 Microsoft say they are serious about the platform and their tie up with HP seems to confirm that its something that is definitely on its way, possibly along with a HP Palm WebOS version of the same tablet to compete head-to-head. I’ll say the same thing about a Microsoft tablet than I did about the Apple iPad, why on Earth would anyone want one of these things? My view is that in order to justify purchasing a tablet computer, its got to have some sort of purpose in your life beyond it being just another cool, must have toy. I’m more than sure that a percentage of iPad owners didn’t fully think it through before they bought and now have a device that is sitting in a drawer after the initial novelty wore off. I know this because I’ve purchased tablet PCs before – and whilst they provide an additional form of input (touch), that offers some unique interfacing options, what else is there really? An ebook reader? A portable media player? So the question is how does anyone go about creating a tablet PC that won’t get shoved in a drawer or listed on eBay the second the user becomes bored with it? Well for a start, I think that Office is must. Without an Office suite it will never replace your trusty laptop and if it can’t replace your laptop device then why wouldn’t I spend my money on a better/quicker/faster/stronger/smaller/more portable laptop? The next thing it needs to be able to do is provide more than just a ‘touch’ interface. Early reports that the ‘mouse’ is dead as a input concept for modern day computing, I don’t believe this is quite true. The mouse is still alive and kicking, because most people still need that level of precision for certain applications. The application I have in my mind right now is photo editing; a full colour tablet PC to me screams photography, as it’s the ideal platform for showing off those amazing photographs. Being able to manipulate and edit those photographs on the move may appeal to those photographers that like to work on the move – however, they will need someone more precise and far more accurate than the tip of their finger in order to achieve the desired results. Is the answer to that a stylus or a port for a mouse or both or perhaps even something completely new I’ve not thought of yet? Yes the device should work without these things, but the option to use them should also be available. It needs to have ports and card slots. When the iPad came out, most peoples first impressions were that it needs to have a USB port or at the very least an SD card slot. Apple offered fiddly little plug-in thingies that allowed you to plug in an SD card reader via the ‘Apple port’ on the bottom of the device, but users don’t want to mess about with more plugs or extenders, they simply want to plug and play on the move. This means the OS has to be adaptable for whatever will plug into it, is that OS Windows 7 or do you only allow certain pre-approved devices to work with the tablet? I don’t know, but it’s an area which requires some thinking. Again, I can’t get rid of my laptop if I can’t plug my printer into my tablet. The device has to span two different areas of my life; it has to provide everything I need from my home laptop, but it also has to be versatile enough for me to be able to use in the boardroom for taking notes on. This is undoubtedly a tricky thing to do, but there may be a simple way to achieve it by being able to shift between two different profiles or set ups; flick a button one way to load a ‘group policy’ which locks down your device to those provided by your companies network policies, flick the button the other way to remove those policies and have the device behave as unrestricted as your home computer. Any data transferred or stored in the ‘business profile’ is encrypted differently or marked as unavailable whilst in the ‘personal mode’, preventing company information from falling into the wrong hands. Again, I don’t know how anyone would achieve this necessarily, but I’ve seen iPads in the work place yet they just don’t work as they cannot interface with the companies Microsoft based network or data protection policies. Crack that problem and the device successfully wins two markets in one swoop. Would I buy another tablet right now? No I would not. Would I buy a tablet in the future that is capable of doing all of these things and providing a purpose that I can buy into? Absolutely yes I would. Do I think this vision of a tablet will ever appear in the next couple of years? I’m not so sure, though I know that if Microsoft are as serious as they claim to be about building a tablet device for all users, then something like this would undoubtedly separate them from the iPad in a completely different user market and they could win big. I would certainly consider buying one – but right now, I’ve not got the drawer space.